1.3.2.2 Lab: Performing backup and restore on web interface. 4.5.5 Demonstration: Upgrade security management server from R70 to R75 locally. 4.5.6 Demonstration: Upgrade security gateway from R70 to R75 through SmartUpdate. 5.6.1.1 Packet flow in ClusterXL Multicast Mode. 5.6.2.1 Packet flow in ClusterXL Unicast Mode. 5.7.1 When does a failover occur? 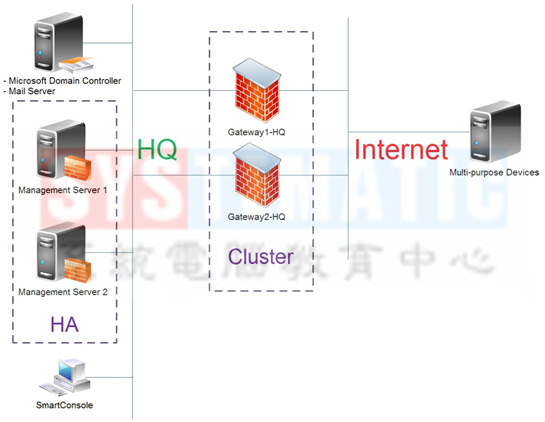 5.7.2 What will gateways do in case of failover? 5.10 Lab: Configure ClusterXL HA mode.